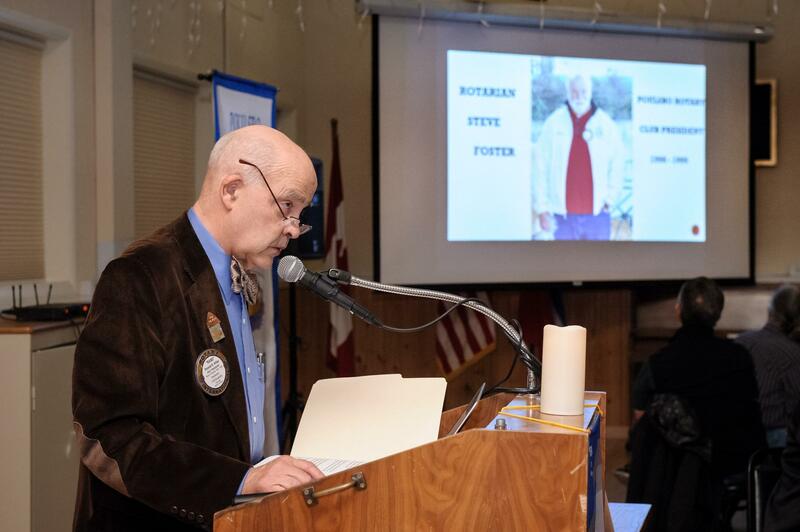 Rand Hillier offered a moving tribute in recognition of the recent passing of beloved long-time Rotarian Steve Foster. Steve not only served as President of the Club, but also made innumerable contributions to major Club projects and served as an example of service to the community for all Rotarians to emulate. Steve was selected as our club's Rotarian of the Year on several occasions. He was always ready to participate in club projects, and he always added to the fun with his keen sense of humor. We will miss you Steve!